The amphibious transport dock ship USS Anchorage is scheduled to open for public tours Thursday at Broadway Pier in downtown San Diego. 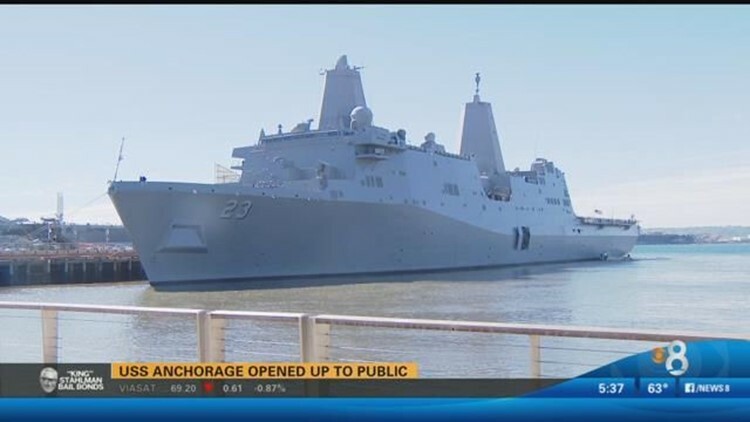 SAN DIEGO (CNS) - The amphibious transport dock ship USS Anchorage is scheduled to open for public tours Thursday at Broadway Pier in downtown San Diego. Tours will be available Wednesday from 1-4 p.m., and Thursday from 8:30 a.m. to 4 p.m., the Navy said.